grew up with forklifts as a staple piece of equipment in my back yard and learned at an early age how they run, what makes them run and how to fix them. At that time, I never dreamed someday I would be running my own Forklift shop carrying on the family tradition and name. Having my own company was always something I wanted and strived to achieve. Having the ability to work in the field that I trained, loved and grew up doing was something I felt I could excel at if given the right opportunity. After the industry that I was working in slowed down in 2012 and I got laid off from my job, I thought what a great time to create my business plan and try and see if my dream could become a reality. Initially, I started doing onsite service calls from the back of my car, moving on to same garage on my parents’ property that I grew up working out of. Then moving to the large building where I am now located. Wanting more flexibility to spend time with my wife and two growing sons while running a successful business has not always been easy but has been worth the long hours, late nights and weekends. 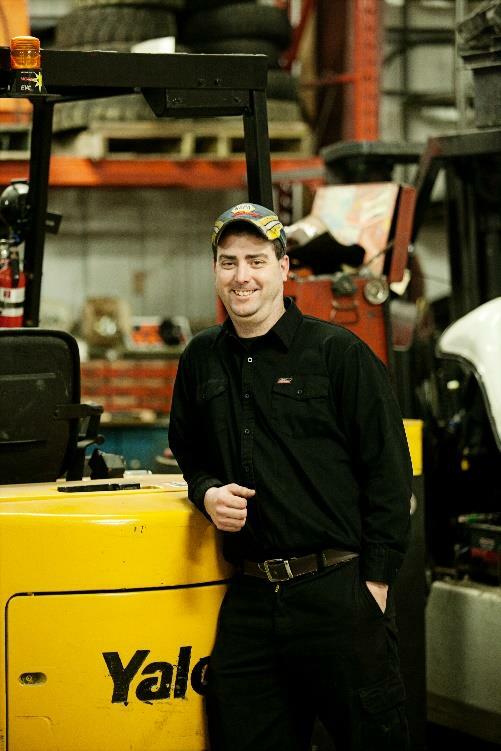 With the help and guidance from CBDC Celtic staff, I have been able to work on expanding King Lifts Limited from onsite service calls, to the sales of parts and equipment, rental and repair of equipment and continued customer service. CBDC Celtic has helped take my dream to a new level of customer service. King Lifts Limited would never have grown to become the thriving family business it is today without all the help and dedication that was given to me by the amazing staff at the Southern Shore CBDC branch. Thanks to them I hope to continue to have a business I can be proud of and pass down to my sons. For inquiries please contact us at 364-3410 or jim@kinglifts.ca. We are located at 65B Main Road, Goulds.